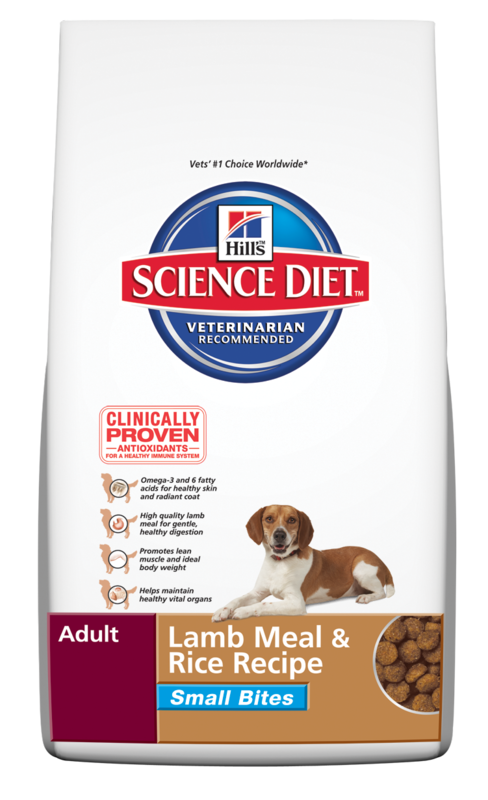 Hill's® Science Diet® Adult Lamb Meal & Rice Recipe Small Bites dog food provides precisely balanced nutrition to maintain lean muscle and promote digestive health for dogs who prefer a smaller kibble. It contains an optimal balance of all essential nutrients and high quality lamb meal for overall health and easy digestion. It also contains Omega-3 and Omega-6 fatty acids for healthy skin and a radiant coat.